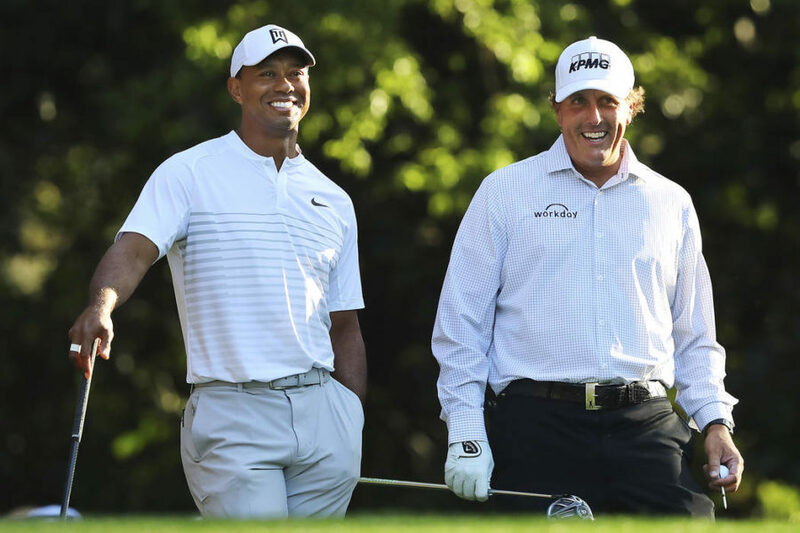 Move over boxing and mixed-martial arts fighting, golf superstars Tiger Woods and Phil Mickelson have upped their trash-talk and respective contributions to charities ahead of the Nov. 23 first-of-its-kind pay-per-view golf match over 18 holes at Shadow Creek in Las Vegas. The winner takes home $9 million. With much of America dealing with the Black Friday retail event, golf fans (largely male) can pay $19.95 to watch the sport’s two biggest names without leaving the couch. Capital One’s The Match: Tiger vs. Phil begins at 11 a.m. PT/2 p.m. ET. Woods and Mickelson will take to the course at noon PT/3 p.m. ET. It will be available on DirecTV, AT&T U-verse, Comcast, Charter, Cox, Verizon and Altice (U.S.), Rogers, Shaw and Bell (Canada), Turner International (outside U.S. and Canada). For Woods, the event is the culmination of 2017-18 season that has seen the sport’s former lone superstar rebound from No. 668 in the world rankings to No. 13 over the course of 18 events – including seven top-10 finishes and his first win in five years — at the Tour Championship in late September. Mickelson, ranked 27th in the world, scored his first Tour win since 2013 at the WGC-Mexico Championship. Both players and their respective caddies will wear microphones, and the broadcast will include real-time, hole-by-hole statistics to forecast certain outcomes during the match. Being Las Vegas, MGM Resorts Race & Sports Books will offer real-time odds, money-lines and other information about the golfers’ performances. The players can also make side challenges, such as who’ll be closest to the pin, whether one can make a putt from 10 feet away or the chances of getting up and down from a certain location on the course. Money from side wagers will be donated to the winning golfer’s chosen charity. Drone camera coverage will be provided, as will slow-motion cameras, golf animations and both real-time trajectories and flight paths for each shot. World Wrestling Entertainment Oct. 25 reported a 9% increase in third-quarter (ended Sept. 30) media revenue to $142.1 million from $130.8 million. 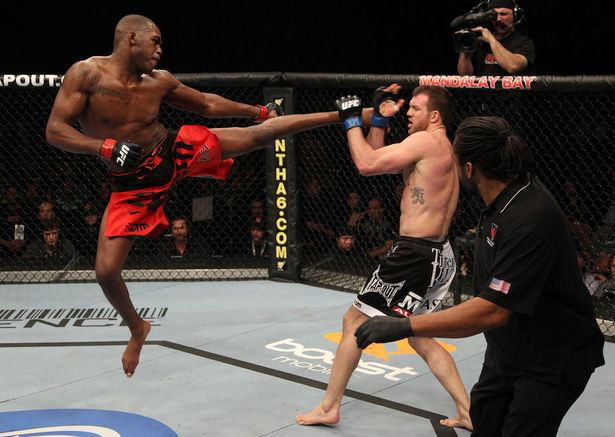 Other sources of media revenue include distribution of scripted, reality and other in-ring programming, as well as theatrical and direct-to-home video releases. 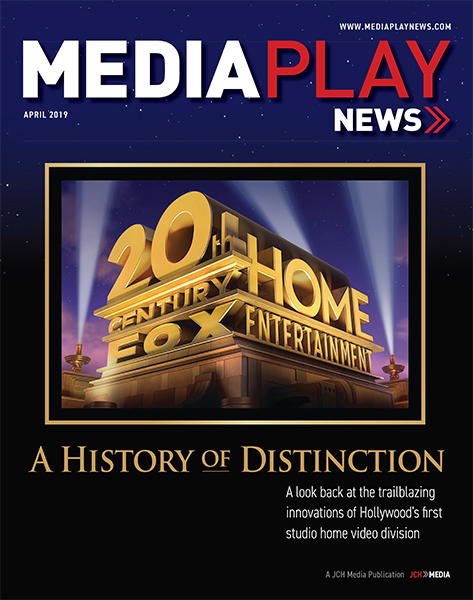 Indeed, the “other” category of media revenue topped $11.7 million, up 28.5% from revenue of $9.1 million during the previous-year period. The growth in media revenue reflected increased sales of advertising and sponsorships across platforms, and the continued growth of WWE Network– the over-the-top video service that posted a 9% increase in average paid subscribers to more than 1.66 million. Comcast and ESPN Sept. 5 announced the launch of ESPN3, ACC Network Extra and SEC Network + on Xfinity X1, giving sports fans the ability to stream over the Internet, directly on their television, coverage of college football with more than 150 live games, and more than 5,000 live events annually, including international soccer, Grand Slam tennis matches, college basketball and other collegiate athletics. 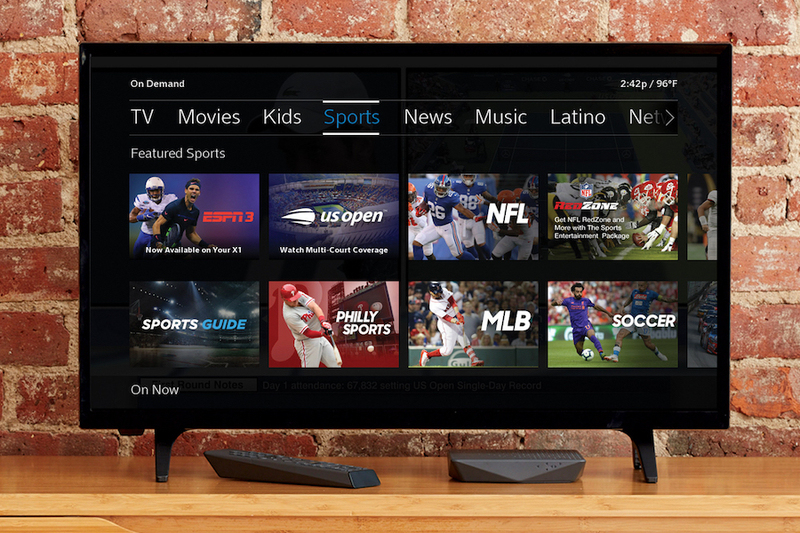 All content from across the three networks will be searchable with Comcast’s X1 voice remote and integrated into the same screens and menus as the other sports programming that comes with a customer’s Xfinity TV subscription, according to the announcement. ESPN3, ACC Network Extra and SEC Network + are available on all eligible X1 set top boxes with Xfinity TV and Internet service. CBS All Access, the subscription VOD service, has extended an agreement to stream all “NFL on CBS” telecasts through the 2022 season. CBS will also expand NFL game streaming access for CBS All Access subs and TV Everywhere to include mobile devices beginning this season. Previously, only Verizon had streaming access to NFL games — including the Super Bowl – on mobile devices. CBS began streaming NFL games to CBS All Access on during the 2016 season. The entire 2018 “NFL on CBS” schedule, including Super Bowl LIII, will also be streamed live on tablets via the CBS App for iOS, Android and Windows 10, online at CBS.com, and on connected devices including Roku Players, Apple TV, Chromecast, Android TV, Xbox One, PlayStation 4, Fire TV, Samsung Smart TVs and Amazon Channels. All Access subscribers will receive the NFL ON CBS games that are broadcast in their local market. 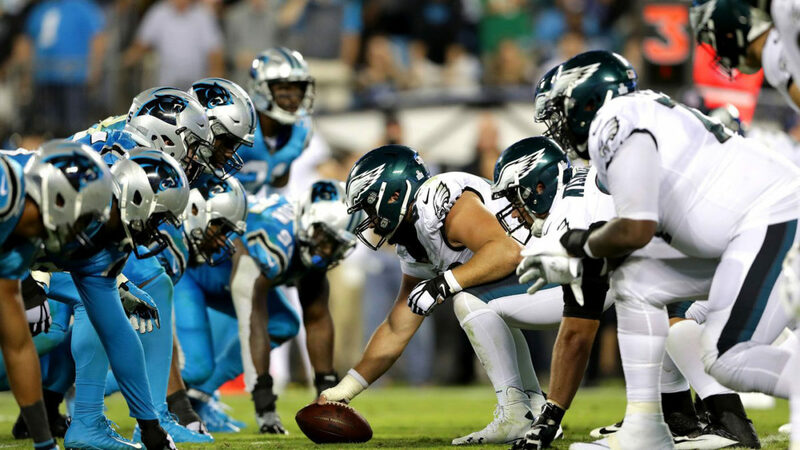 “This deal enables us to deliver even more value to NFL fans, our subscribers and our distribution partners,” Marc DeBevoise, COO, CBS Interactive, said in a statement. “The 2018 season will mark a new era for NFL fans with unprecedented access to NFL games across digital platforms,” said Hans Schroeder, COO of NFL Media and Business. In addition to the NFL, CBS All Access offers more than 10,000 on-demand episodes spanning current shows from CBS Television’s primetime, daytime and late night lineup, as well as past seasons of select series and classic TV hits. As the football world gears up for the showdown between Liverpool and Real Madrid in this weekend’s UEFA (Union of European Football Associations) Champions League Final, data from Irdeto reveals that a total of 5,100 unique illegal streams were detected redistributing games over the internet during this year’s Champions League knockout stages. Of this total, 2,093 streams were detected across social media channels including Periscope, Facebook and Twitch and are estimated to have reached nearly 5 million (4,893,902) viewers. “The viewing figures combined with the number of UEFA Champions League streams detected across a variety of channels suggests that more needs to be done to stop the illegal distribution of high profile live European football matches,” according to an Irdeto release. Web-based streams continue to be the main vehicle for illegal distribution of these matches, with 2,121 web-based streams detected (of the total 5,100 streams), according to the Irdeto data. However, this was closely followed by social media, where potential advertising revenue drives criminals to illegally stream premium sports. 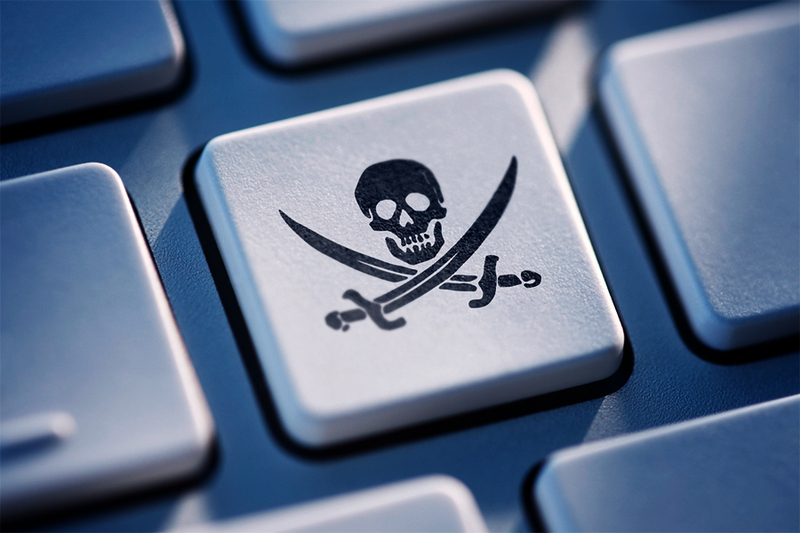 Pirates also took advantage of illicit streaming plugins for Kodi, the popular media player, with 886 streams identified on this platform, according to Irdeto. Pirates create professional-looking websites and services designed to fool consumers into thinking they are viewing legitimate content, according to Irdeto. In the case of the Champions League, the team most targeted by illegal streamers was Roma, with 1,476 streams detected for their matches. This was followed by Real Madrid (1,354 streams), Liverpool (1,252 streams) and Bayern Munich (977 streams). The second leg semi-final Roma vs. Liverpool was the most-streamed match, with 405 illegal streams, representing a potential loss of revenue to clubs and the competition. The viewership of illegal streams on social media followed a similar pattern. 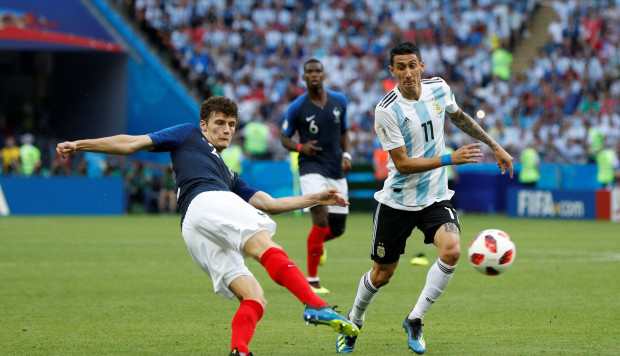 However, Real Madrid was the most viewed team, with 2,856,011 viewers of illegal social media streams of their games throughout the knock-out competition. The most illegally viewed match through social media streams was the Real Madrid vs. Bayern Munich Semi-Final second leg, which received an estimated 709,393 viewers. Based on the average Pay TV subscription prices in Europe this could represent a loss of more than 14 million Euros per month or 170 million Euros on an annual basis.